Are you looking to ship goods to or from Georgia or within the state? We would be happy to give you a free instant online freight quote! FRC Logistics can arrange for Georgia trucking both in-state and interstate, and because of our efficient business model, our rates are highly discounted. Start by choosing a quote for a full truckload, less than a truckload or international shipping. The major interstates in Georgia are I-75 and I-85. Georgia also has a sizable state highway system. Interstate 285, the loop encircling the Atlanta metro area, is one of the most heavily travelled roadways in the United States, both for freight and for personal vehicles. Because of the major congestion problems on the northern half of this loop, GDOT will be implementing Variable Speed Limits beginning in September 2014. The speed limits on this section of the roadway will be based on road, traffic and weather conditions. Georgia is home to 15 Fortune 500 companies and 26 Fortune 1000 companies, including Home Depot, Coca-Cola, Delta Air Lines, UPS and Aflac. Georgia is the number one producer of pecans in the world, and farms in middle and southern Georgia also produce peanuts, corn and soybeans. There is a large textile industry in the state, located along the I-75 corridor between Atlanta and Chattanooga, Tennessee. Georgia also exports apparel, transportation equipment, paper products, chemical products and electric equipment. Because of Atlanta Georgia’s numerous major freight companies and its large textile industry, Georgia trucking is vital to the state’s economy; its companies ship billions of dollars worth of goods each year. Frequent destinations requested for Georgia trucking include California, Texas, Illinois, New York, New Jersey and Arizona. Local transportation of freight is extremely important to industry in Georgia, and about 85 percent of the commodities originating in Georgia are transported by truck. Georgia is home to one of the busiest airports in the world, Atlanta’s Hartsfield-Jackson airport, which is also one of the nation’s major trucking hubs. Any trucks exceeding the legal limits require a permit. More information about Georgia trucking permits can be found on the Georgia Department of Transportation (GDOT) website. 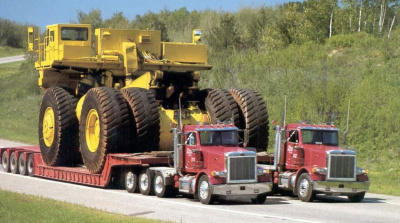 When applying for an oversize permit, you must provide your insurance certificate. Pilot cars are required for large trucks in the state of Georgia. Vehicles more than 100’-0” long, 15’-6” high and 12’-0” wide will need at least one pilot car. 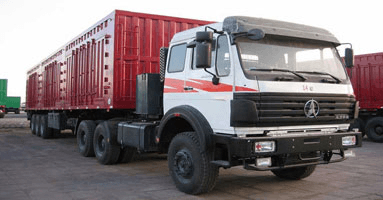 Requirements for trucks carrying loads more than 16’-0” wide are decided on a case-by-case basis. Travel is allowed from half an hour before sunrise to half an hour before sunset. Georgia also has specific rules for trucking un-manufactured forest products and hazardous materials. 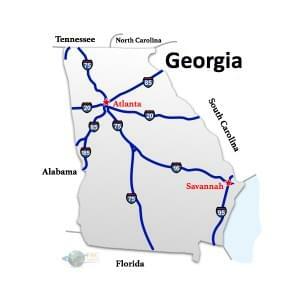 The Georgia Department of Public Safety has all of the details on their website, along with other Georgia trucking rules and guidelines.